1. Remove bones and skin from four 4-ounce chicken breasts. Pound each to about 1/4″ thick, then liberally season both sides with salt and pepper. In a shallow bowl, add the flour and lightly dredge both sides of each piece of chicken. Heat 2 tablespoons of olive oil and 1 tablespoon of butter in a large skillet over medium-high heat. 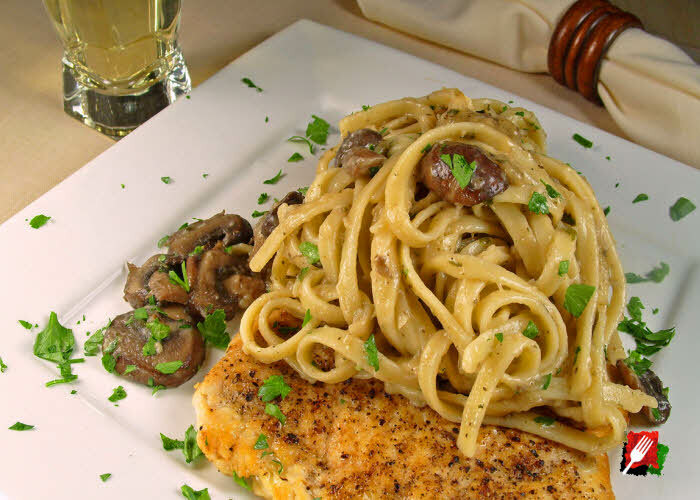 When the butter is melted and begins to foam, add the chicken breasts to the pan and sear for 3 minutes until browned, then turn over and sear the other side for another minute or two, then remove breasts from the pan and set aside in a covered dish. 3. Add the mushrooms and saute until tender and their liquids start to evaporate, about 5 minutes. 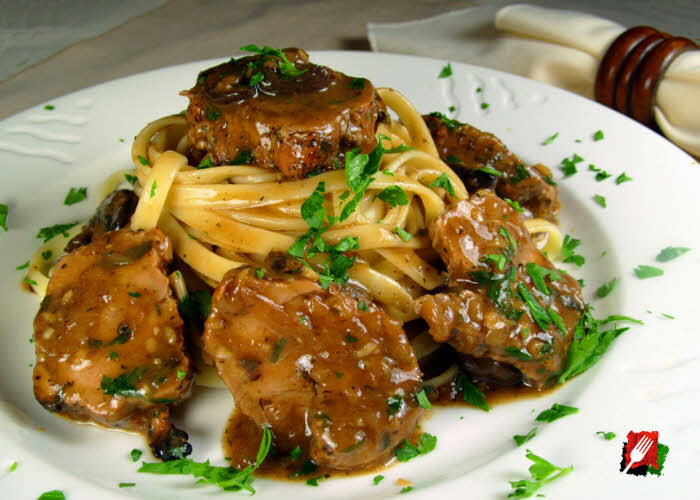 Season with salt, then deglaze with the Marsala wine. Let the wine cook down or burn off its alcohol and reduce by half. 5. Add the chicken breasts back into the pan. Only cook enough to heat through, turning to thoroughly coat each breast, about 1 minute. 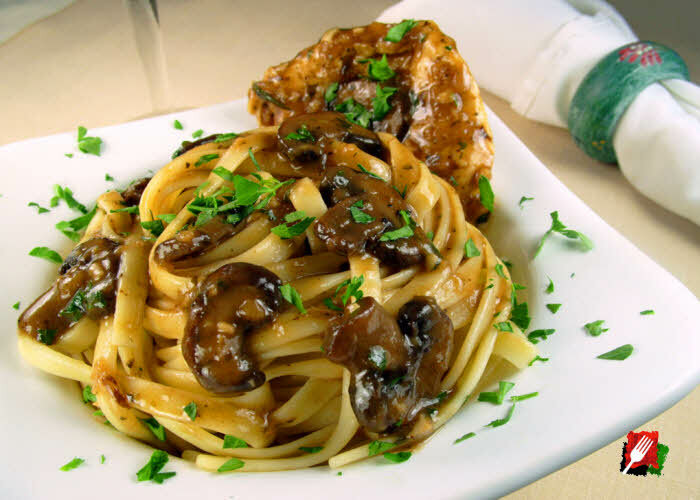 Plate the chicken breasts in mushroom Marsala sauce, by adding the breasts first, often over pasta, then by spooning on a little extra sauce. Garnish plate with chopped fresh parsley. 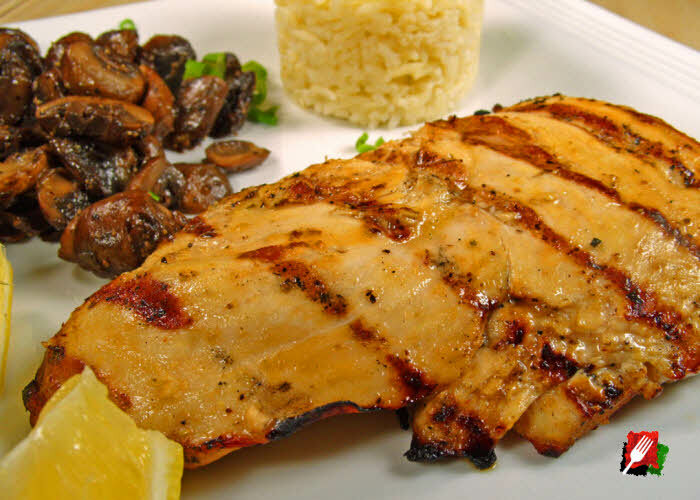 Note: To reduce any health risks, make sure that chicken breasts are properly cooked with an the internal temperature of no less than 165ºF.